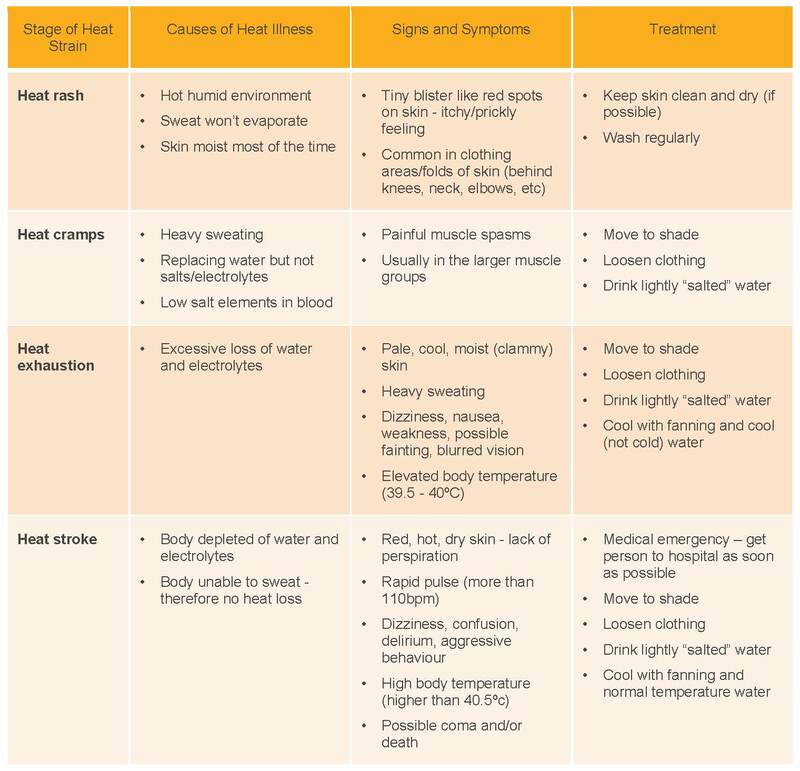 As we head into Summer, planning now for the dangers of heat strain is a proactive approach that we all need to address. There are no prescribed temperature maximums or minimums in work health and safety legislation and a risk management approach should be adopted in consultation with workers. This will involve exploring the hazards associated with working in these temperatures and what control measures can be implemented to keep the risk as low as reasonably practicable. When assessing the risks to workers, it is important to distinguish between a condition that threatens their health and safety and a feeling of discomfort. The risk to a worker increases as conditions move further away from an environment that is generally accepted as comfortable. Both personal and environmental factors should be considered. Work should be carried out in an environment where a temperature range is comfortable for workers and suits the work they are carrying out. 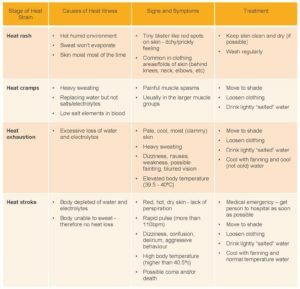 developing a heat policy in consultation with workers and including exposure to heat in first aid and emergency procedures. Information on sun safety resources is available from the Cancer Council.